The hamsters that power our servers are apparently underfed, overworked and generally disgruntled this afternoon. So while I have acces to the site here’s a quick fun ‘n’ games with little comment. 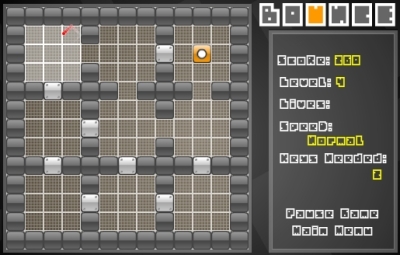 Place the blocks to bounce the laser from Points A to B. Sometimes you need to pick up “keys” to open up Point B. Avoid all hazards, obstacles, etc. Happy bouncing and happy weekend!